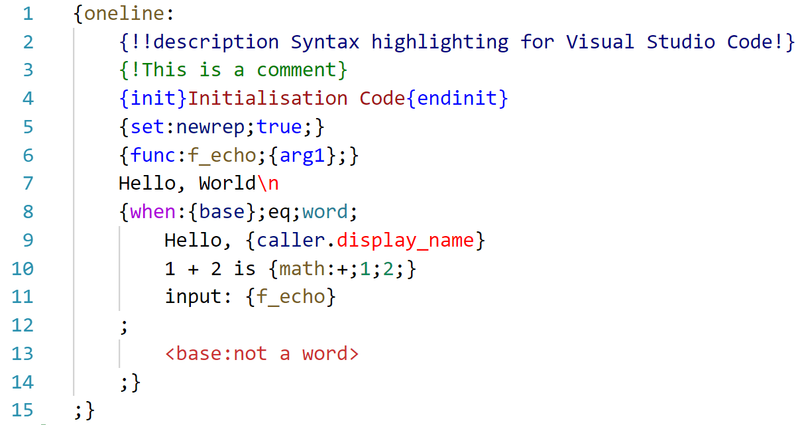 Visual Studio Code>Programming Languages>YNANew to Visual Studio Code? Get it now. 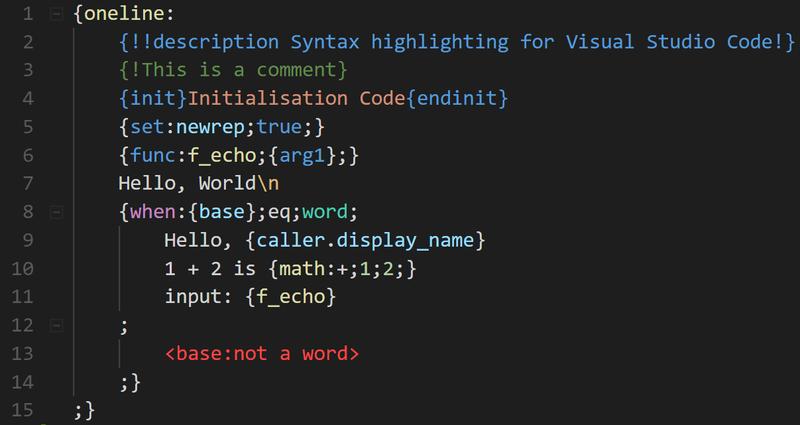 Adds syntax higlighting and auto-indenting for YNA to Visual Studio Code. YNA is a programming language used in tags for the popular discord bot 42, by squaswin. 42 is based on the character of the same name in the comic Kiwi Blitz by Mary Cagle, which is also where the icon is from. You can support both squaswin and Mary Cagle on Patreon! If you have issues or suggestions, feel free to bug @mymoomin#0952 in Kiwi Hangout (that's me). The highlighting is fully supported in Dark+, Light+ and High Contrast (the default dark, light and high contrast themes).